Discussion in 'Electric Instruments' started by Beery Swine, Jan 31, 2019. Hello, all, first thread. Been thinking about some SE model projects, maybe getting 2-3 of them over the next year or 2 and swapping the pups for Gibson Burstbuckers, DiMarzio Tone Zone/Air Norton, SD Alnico II Pros, stuff like that, just for different pickups that I think sound great. 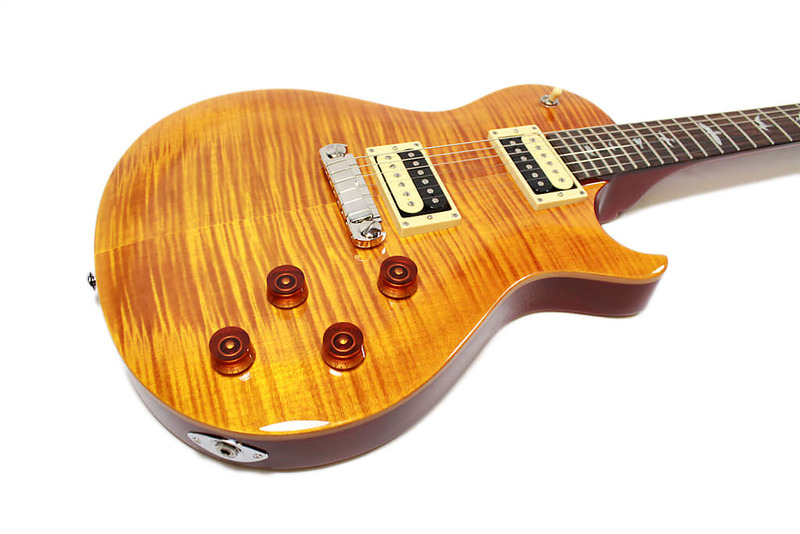 Basically, I want some classic type Les Paul and other rock/metal tones, but I've completely discounted the idea of getting a Gibson guitar with BBs or 490/498 because, well, basically everyone knows their QC leaves a lot to be desired, plus I'd rather PRS get my money for a maple-cap 22-fretter. Their headstocks alone are worth getting them over Gibson or Epiphone. I have a 2004 McCarty, but I've never even played an SE model, so idk how they compare or contrast, so I was hoping for some input. 1. Do the SE models sound significantly different than the core models, even if you put in the same pickups and electronics? 2. If you swap out the pups, would the SE models' other electronics be fine to leave in, or would it also be a good idea to upgrade some or all of those? Recommendations, tips, things to look out for, all constructive comments would be greatly appreciated. They sound different - of course ‘significantly’ is a relative term. To me, they sound markedly different. To someone else, maybe less so. Still, they’re quite nice sounding guitars. BMiller, Beery Swine and shimmilou like this. Don't knock the stock pickups until you try them. You might just be surprised. I was all set on buying new pickups for my SE Std22 and Bernie before I even plugged them in, but the stock ones in mine sound better than the stock pickups in my Gibson. No soldering iron required. shimmilou, dogrocketp and Beery Swine like this. Don't knock the stock pickups until you try them. Wouldn't dream of it, man. I bought an Epiphone G400 pro awhile ago, fully expecting to upgrade the pickups at some point, but once I started playing I realized they were exactly what I wanted for the guitar. Very bright, kind of nasally, just-hotter-than-PAF, and could crunch up like crazy. If everything proceeds accordingly, I plan on buying this SE 245 I found in a shade I like tomorrow, will post updates. Always give the pickups a chance, even if they're not name-brand. If they're not quite what I'm looking for with this guitar, however, I'm thinking SD Alnico II pros, but I'm getting ahead of myself. Tim S and shimmilou like this. 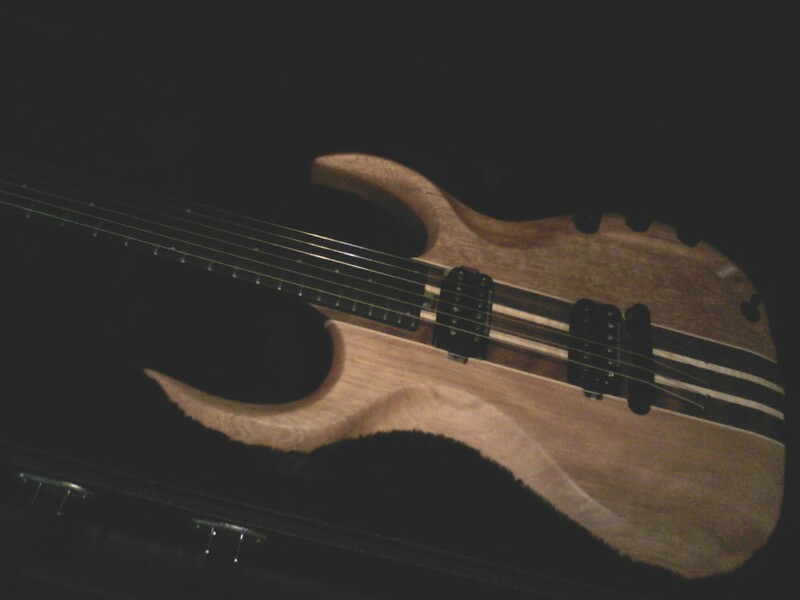 I've got an SE Custom 24 that I was to the point of trading off as I never cared for the pickups on it. I LOVE the sound of these pickups in the SE!! Warm, yet articulate. I liked them so much, I picked up another pair (single conductor this time) for my SE Custom 22 Semi Hollow. Pictures are before Seymour Duncan's. Beery Swine, shimmilou and dogrocketp like this. I have 5 SE’s and have flipped countless other ones in order to get what I have. I’ve tried a number of pickups, but have settled on PRS USA pickups in 2 of them, and stayed with stock pickups in the others. 4 of them have CTS pots, 2 because of failure/problems with the Alphas. Yes, they do all sound different, which is my excuse for keeping them. They are all different models. My take is that every guitar with a PRS name on it sounds different than every other. The variables are introduced but the aging of the wood, thickness and carve of the body, fingerboard wood, neck wood and carve, and basically, everything. I play everything I have every week, because they all sound different. All good, some just better than others for different things. 2 of them are in gig rotation with my core and S2’s. Beery Swine and shimmilou like this. I have 5 SE’s . . . .
Can you tell how many pieces the bodies are constructed of, like look on the side at the bottom? I guess I probably wouldn't even notice a change in tone between a McCarty or CU22 and an SE, so long as the parts are all the same, even when others do. even if you put in the same pickups and electronics? Pickups and electronics are the root sounds. I've modded a $20 used Strat-Like-Object that some kid mistreated and swapping in loaded pickguards makes it sound like whatever style is loaded in there, Strat, Tele, P90s, LP, JM... Others will defend their belief in magic Wood and Coatings but how many argue about plastic Trim Rings? Or plastic Pickguards? Or Truss-rods (try forcefully bending a body and a neck and see which one changes the output)? Generally, the older SE models tended to have muddier pickups (but they can be fixed with pots and caps swaps) and more recently both Core and SE pickups have achieved better tones per youtube channel reviews and marketing materials. Okay, got a nice looking (at least in the pics) SE 245 on the way, should be here Monday. That'll be a fun . . . Tuesday, because I'll have to wait at least 12-24 hours to allow the wood to acclimate to indoor temperature again. Varies on the guitar, but the number of pieces has never been as issue with me. How it sounds is everything to me. How it’s made influences how it sounds, but I don’t believe believe there’s only one way to make a guitar sound good. The sum is frequently greater than the parts. shimmilou and Beery Swine like this. The SE are typically three piece bodies, at least the ones I have and have seen. Yeah, same. My McCarty I think sounds great, but the Epiphone G400 pro I have sounds, to me, equally as great, and it's like 4 pieces at least, then I have a Korean neckthru guitar with mahogany wings and one of those wood striped multi-piece multi-material reinforced necks that go all the way down, with an ebony fretboard, and NO other guitar I've ever played sounds like that, whether plugged or unplugged, and your body even FEELS it when you play it, that ma'fa kicks back and resonates. Not sure what parts make it resonate more, the fretboard, the neckthru, the mahogany, or some combination of the 3, or something else, idk, but no other guitar I've played either extensively or for 10-15 minutes in a shop has EVER felt like that one. It punches, and it's difficult to emphasize just how much a solidbody can punch without another experienced guitarist playing it for themselves. Superb for heavy metal. Still, the cherryburst and flametop on my McCarty and the fatass neck cause me to play that one more. It just looks prettier. Tim S, dogrocketp, grausch and 1 other person like this. Just got the 2014 SE 245 I ordered, let it rest in the package for a good 8 hours after delivery. I would have waited longer, but the package wasn't all that cold to begin with, despite the frigid weather. I took it out still in the gigbag after 4 hours, touched the neck and it felt about the same temp as my other guitars, but then touched the body and it was still a good 10 degrees probably too cold. Left it in the gigbag sealed for the remaining 4 hours, pulled it out, and tuned to Eb, and it sounds great unplugged. I'll probably have to adjust the truss a tad if I plan on 10-46s with this tuning, but I might go to 10.5-52.Too late in the day to plug it in and get a good tone out of it, but it looks gorgeous. Amber orange finish, flame veneer (obviously not a print), plain maple cap underneath, black and creme pickup bobbins. Sounds nice and bright already. I'm genuinely surprised at how different it sounds from some other guitars of mine. You can probably guess the guitarist whose style I was going after with this purchase. dogrocketp, grausch and shimmilou like this. Sweet score Beery Swine, beautiful guitar! I have the 245 pups in my SE ZM, and they sound great. Just got thru amping it for a couple hours, and the truss rod seems fine. My guess is the guitar came stock with 9s, so with 10s (which is what it obviously has now) tuned down to Eb, the truss rod is fine. Neck seems to have just enough bow. Action is maybe just a quarter mm or less higher than I'm used to, but still plenty playable for now. I still might go for slightly thicker strings, but I'll see. Even unplugged, as I said, it sounds bright and snappy, and on distortion and/or overdrive it's snarly af. Pickups aren't quite what I was hoping for (a Seymour Duncan Alnico II Pro tone), but I might like these even more. The bridge pup seems like it has, mmm, maybe 15% more output than an A2P, and maybe 10% more in the neck. VERY bright and snarly, like I said. I'd like to know what magnets they use. I'd guess A5s, but I don't have much experience with different alnico types, so I probably wouldn't really be able to tell. I see people in the other threads talking about magnet swaps quite often and wonder if an A2 swap might make them sound even better (unless they're already A2s, which I kinda doubt). It might calm down the highs a tad and bring up a little of the mids, but I'm hesitant to go futzing about with something that already sounds good. After playing I took a closer look with my non-luthier eyes, and I'll be damned; the body is only two pieces of mahogany, instead of 4 or 5 like a Chinese Epiphone, and the maple cap beneath the veneer is the same. Both joins are at about the same spot, on the upper or left side of the body. I'd imagine the factory had blocks of mahogany and maple pre-glued and then just joined them together as needed. The neck is even one piece except for the side corners of the headstock, REALLY surprised with that on an SE. Headstock also has a flame veneer on it, and both it and the body's dance nicely in the light. I saw another thread where a guy says he's quit the SEs because of the sloppy cut of the nut being sharp on the edges. I had to check mine after reading that, because I wouldn't notice it. Yeah, it's cut a little short on either end, making the nut-less part of the neck all 90 degree angley sharp, but I've played with a hard and angled locking nut for years, so it doesn't seem like anything to me. One thing that genuinely shocked me: not a single fret edge out of place anywhere on the neck, both upper side and lower side, even underneath the selector switch where you'd never feel it anyways. Overall, you'd have to actually be looking for the blemishes to know they even exist, except for one on the upper side of the neck there's either a scratch or a white finish blemish past the 22nd fret, beneath the fretboard, and it's right next to the pickup ring so I can't even fit a finger close enough to feel it. Everything else that isn't 100% cherry you'd REALLY have to be looking for. Another thing, I'm glad there's no coil splitting on this. I know PRS are kind of the pioneers of coil splits and taps and reversed poles and whatnot, but I get a humbucker guitar for humbuckers, and a single coil one for single coils. dogrocketp and shimmilou like this. You know how you can take two identical models set up identically with identical part and they’ll still sound different? That to me suggests that I should at least consider the possibility that wood might contribute to the sound. You can constraint randomness of man made materials and parts to negligible levels. However, you can’t do de same with natural materials such as wood. So no I don’t believe mahogany body with maple cap guitars will all sound the same. They might share some sonic characteristics, but they’ll no sound the same. As for the pickups, what iteration of BB are you looking into? I’m a big fan of their pickups, my favorite being the Custombuckers which you cannot buy directly from them. I also love their Classic 57’ and 57’ plus. If you’re willing to pay that sort of money, check out Bare knuckle pickups. The Mule on the neck paired with Riff Raff on the bridge makes for an amazing vintage sound. According to the owner, who worked on Jimmy Page’s no 1 guitar at done point, he was amazed how the Mule Riff Raff combo were voiced so similar to the pickups on Jimmy Page’s no 1. Interestingly the Mule, Riff Raff and Black Dog were designed before he work on Jimmy Page’s guitar. They were designed to capture respectively the vintage PAF vibe, AC/DC vibe and Led Zeppelin. It’s interesting how he thought how the pickup he designed thinking of AC/DC were the one he thought best approximated the pickups on Jimmy Page’s guitar. Not a fan of the '57s myself. They're good pickups, but just don't seem to be very distinct to me. The SD A2Ps I'd like to put in a guitar at some point is for, well, Slash, cuz sometimes it rains in November, very coldly, and candles don't have as much grip as you'd like. For the BBs I was thinking either 1 and 2 or 1 and 3 standards. I really like their sound, but generally dislike Gibson. So lemme get this right with BKs: the Black Dog doesn't sound as much like "Black Dog" the Riff Raff? I was also looking at, hmmm, Vineham pickups, I think, specifically the ones designed to sound like EVH (obviously you won't sound like him without his specific Super Lead and cabs, not to mention playing style and technique). Something I love doing is taking a tone designed to sound like one genre, band, or even specific song, and playing something else with it. Playing Metallica or Slayer with a Billy Gibbons type of tone is extremely fun for me lately, or Zep with a heavy blues tone. It's nice to have pickups and guitars and amps and cabs that line up specifically with one artist, but mixing and matching tones is a blast that I'm unsure is appreciated much. Hell, even something as extreme as playing "Satisfaction" with like a Nile JCM DSL ultra heavy tuned down a fifth tone and guitar would probably be fun. According to the people a Bare Knuckle, yes. I have both bridge Black Dog and bridge Riff Raff. I love them both. Both can do Led Zeppelin really well. The Black Dog is a bit hotter than the Riff Raff. The thing is that bridge pickup on Jimmy Page's #1 is not as hot as most people tend to think. Apparently it's a very classic vintage PAF, which tend to be relatively low output humbuckers. Personally, I agree with the people at Bare Knuckle. The Riff Raff will do a slightly more authentic Black Dog than a Black Dog. I also like to do what you described. These pickups have transformed a guitar that had pickups that I liked, but I felt was missing something. Also the coil tapping works well enough for a vintage sounding pickups. I think more modern sounding pickups, like the 85/15, are in a natural advantage when it comes to coil tapping. But even then, the Bare Knuckles do a good job as well.